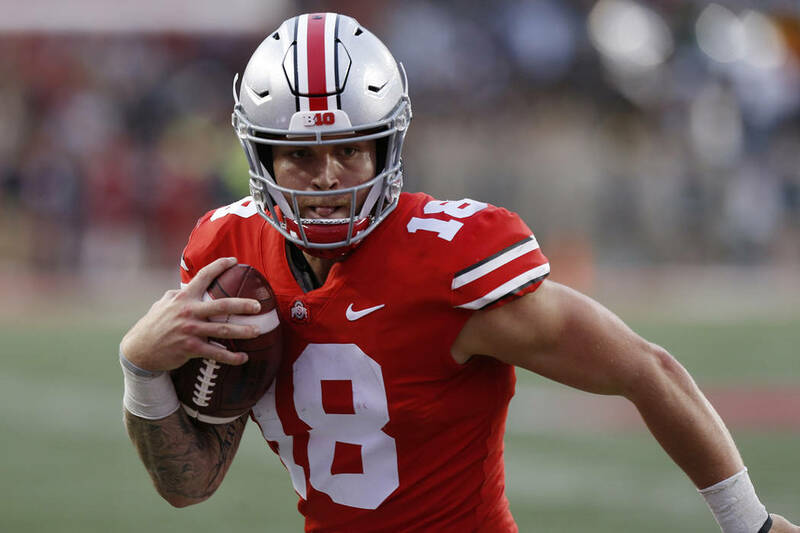 Tate Martell practiced with the Miami Hurricanes for the first time on Tuesday. Hours later, he got his first win. CORAL GABLES, Fla. — Tate Martell practiced with the Miami Hurricanes for the first time on Tuesday. Martell, who went 45-0 as a starter at Bishop Gorman High School in Las Vegas, is eligible to play for the Hurricanes this season and will not have to sit out the customary transfer year, after the NCAA approved a waiver for the former Ohio State quarterback. Miami announced the verdict about three hours after the Hurricanes’ first spring practice and first under new head coach Manny Diaz. we aren’t ready yet.. but we will be! Miami had lobbied for weeks to get Martell eligible, and Ohio State also voiced its support to the NCAA to approve Martell’s waiver seeking the right to play this season. Martell announced his plans to transfer to Miami in January. He redshirted as a true freshman at Ohio State in 2017, and completed 23 of 28 passes in six appearances as Dwayne Haskins’ backup for the Buckeyes in 2018. Martell is the presumptive front-runner for the Miami starting job that now-graduated Malik Rosier and sophomore N’Kosi Perry shared last season when the Hurricanes passed for only 2,175 yards in 13 games. Perry and highly regarded Jarren Williams are the other scholarship quarterbacks in spring camp with Miami.